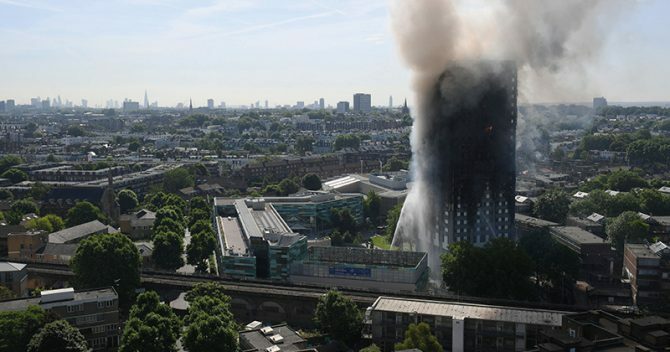 A London college previously at the centre of controversy involving the Grenfell Tower has received its fifth consecutive grade three rating from Ofsted. 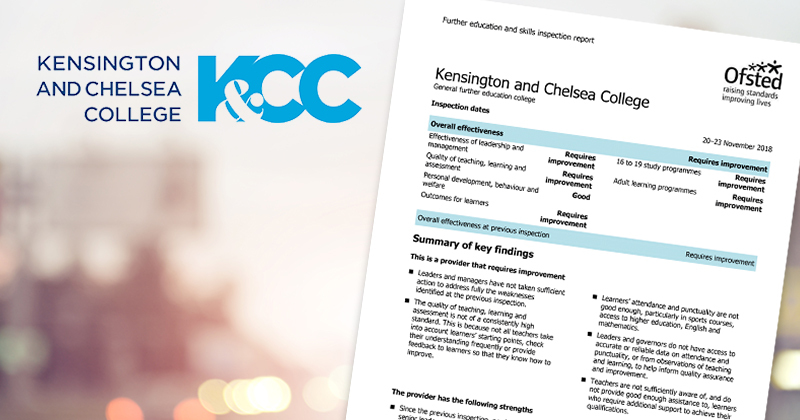 Kensington and Chelsea College was inspected in November and was considered to require improvement. The inspectors wrote in their report: “A recent period of uncertainty in the college’s history led to a swift turnover of senior leaders and governors. “This turbulence compounded the weak financial position of the college, the lack of clarity in its strategic direction and the slow progress to improve the quality of provision. Their comments refer to the attempted merger between Kensington and Chelsea College and Ealing, Hammersmith and West London College. This was scrapped following a campaign by groups representing the survivors of Grenfell Tower, which is in the vicinity of Kensington and Chelsea College. Last year, the college apologised for the “shameful” selling of its Wornington Road site for housing in 2016 after an outcry from the Save Wornington College Campaign. Kensington and Chelsea College’s new principal, Andy Cole, took the reins in February last year from Dr Elaine McMahon, who served as the college’s interim principal when Mark Brickley resigned with immediate effect in 2016 – who was the man responsible for the sale. “These managers have started to address the financial predicament. They have also begun to identify strategic options for the future, strengthened the capacity to make more cogent and well-informed strategic decisions and renewed the focus on quality improvement,” according to the report. Mr Cole said: “While we acknowledge this challenge, we are also pleased that the report highlights many positives and examples of effective work taking place at all levels in the College. Until recently, three or more grade three Ofsted reports in a row would automatically have qualified the college for an ‘inadequate’ rating. Ofsted’s chief inspector Amanda Spielman told FE Week in November that she had changed this rule when she took on the top job at the inspectorate in January 2017 “because I thought it was flawed in conception”. “The job of inspection is to report on what we see when we inspect,” she said. “To artificially say that something is ‘inadequate’ and trigger all the consequences that we know go with grade four judgments, because we want to heap up pressure, I don’t think that’s the right thing for us to do”. Despite teachers at Kensington and Chelsea College being qualified and experienced in their subject matter, their lack of clarity in explaining activities leaves learners confused and struggling to make progress, according to today’s report. Inspectors said there was too little progress with improving on weaknesses identified at the last inspection in January 2017, including attendance, punctuality and in the quality of teaching, learning and assessment. The college was given a grade three in all areas, except for personal development, behaviour and welfare, where it was rated ‘good’ and about which inspectors wrote: “Staff are particularly experienced in supporting learners with emotional or mental health problems. “This has been especially important in helping learners and staff deal with the aftermath of the local Grenfell Tower tragedy. “Several staff have received specialist training in mental health first aid. “Support staff also have good links with more specialist external agencies, such as Mind. The college’s managers were commended for their diligence in strengthening relations with the local Islamic centre and the Save Wornington College Campaign. The college had 4,893 learners in the past year, but no apprentices since it ceased to offer such courses after the last inspection. In 2018, four learners on access to higher education courses secured places at Oxbridge and other learners on level three or four creative courses have gone on to design and art-related university courses. Ian Valvona, the chair of the KCC board who replaced Mary Curnock Cook last year, said: “Over the last few months the College has strengthened its ties with the local community, both with outreach work and with courses provided directly through community organisations.